The Mountain EbA Program continues to work in the Peruvian Andes with mountain communities in the Nor-Yauyos Cochas Landscape Reserve. Our goal is to help them adapt to present and future climate change impacts. Currently, up to 70 percent of the local population depends on sheep and cattle grazing for their livelihoods. This makes them strongly dependent on healthy grassland ecosystems and a steady supply of water. By restoring wetland and grassland ecosystems in the Reserve, local communities can better manage the declining water supply, reduce erosion and the risk of natural disasters. 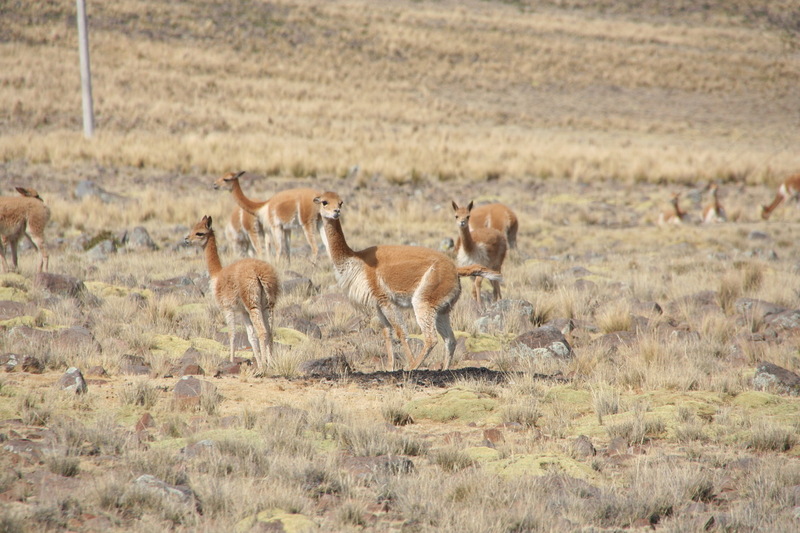 These actions also improve habitat for species such as the vicuña, a wild relative of the camel that lives above 3,500 meters in the Central Andes. Wildlife like the vicuña depend on healthy grasslands–as do the sheep and cattle from which many mountain people earn their livelihoods. We continue to work with communities to protect water sources, revive natural pastures and sustainably manage their livestock. These measures help increase the resilience of both ecosystems and communities to climate extremes. And, with healthier herds on healthier pastures, mountain people have a more reliable source of income. Working in partnership with with local communities, we’ll help develop the EbA solutions that are best-suited to their specific needs. Our project supports local efforts to restore, protect or expand key ecosystem services identified as crucial by community members. The Mountain EbA Project in Peru is also coordinating with national, regional and local governments to build support for applying nature-based adaptation methods more widely. 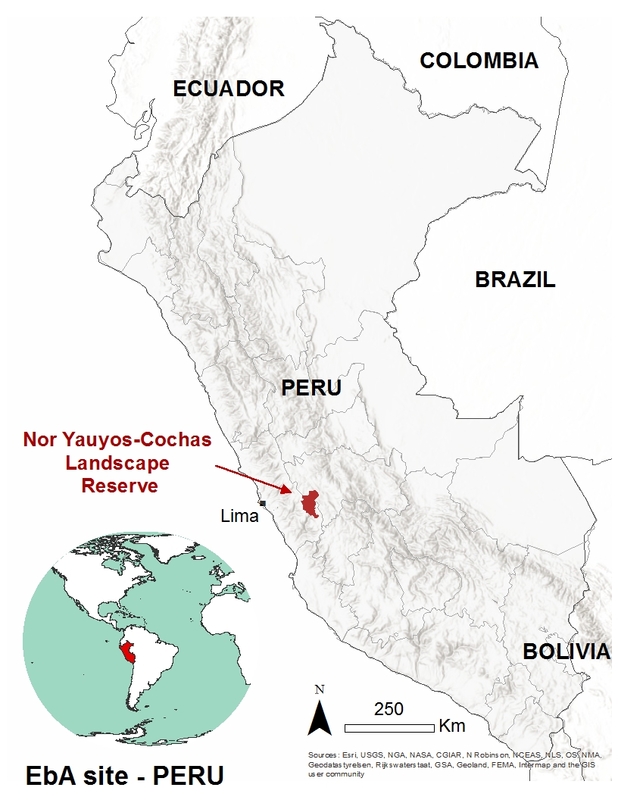 The benefits of healthy ecosystems in the Peruvian Andes extend way beyond local populations. Downstream from our EbA project site, there are 10 million inhabitants in the capital city of Lima who also rely on these mountains as one of their main sources of water. Check out this recent Facebook post about Mt EbA activities in Peru. Learn more about our Mountain EbA projects in UGANDA and NEPAL . The official name of our program is “Scaling Up Mountain Ecosystem-Based Adaptation: building evidence, replicating success, and informing policy.” This program is part of the International Climate Initiative (IKI). The Federal Ministry for the Environment, Nature Conservation, Building and Nuclear Safety (BMUB) supports this initiative on the basis of a decision adopted by the German Bundestag. Our Mountain EbA Program is led by The Mountain Institute (TMI) and implemented jointly with the International Union for the Conservation of Nature (IUCN) and country partners over the period 2017-2020.